The Clarendon Fund is a major graduate scholarship scheme at the University of Oxford, offering over 100 new scholarships every year. In 2010-11, there were 297 Clarendon scholars at Oxford from 46 different nations. Awards are made based on academic excellence and potential across all subject areas, enabling the most distinguished scholars to study at Oxford University, one of the world’s top five universities and the oldest university in the English-speaking world. The closing date for Graduate Admissions for 2012/13 is Friday 20 January 2012. All applicants for graduate study at the University of Oxford are eligible. Clarendon scholars come from all continents in the world: from the USA to Australia, Venezuela to Vietnam and from Norway to Nigeria! All degree-bearing courses at graduate level are eligible. This encompasses all full-time and part-time Master’s courses (MSt, MSc, BCL/MJur, MBA, MFE, MPhil, BPhil, MSc by Research, MTh) and all DPhil programmes. 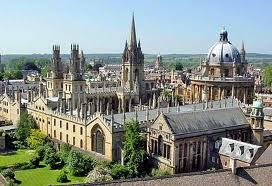 A list of the all the graduate courses offered by the University of Oxford can be found on the Graduate Course Guide. Candidates who already have a place but who deferred entry from a previous year are not eligible to apply (as you can apply for Clarendon in the year that you applied for your place and then, if you are successful, you can apply to defer your funding if you need to defer your place). You do, however, need to apply by the January application deadline in order to be considered for the scholarship. Results for entry in 2012-13 will be available in April 2012. More details will be posted nearer the time. An excellent academic record is essential: A high first class honours degree or its equivalent (a GPA score of at least 3.7 if the mark is out of 4, noting that most successful candidates achieve a score higher than 3.7) or an outstanding academic record at Master’s level is necessary (noting that an outstanding Master’s degree can compensate for a moderate first degree performance). Other indicators of high academic achievement may include individual marks on student transcripts; evidence of previous university prizes or awards; information on your overall position within your cohort; and publications (if applicable). The grant for living expenses for scholars on a full-time in 2010-11 is GBP£13,590, which is normally sufficient to cover the living expenses of a single student living in Oxford. Clarendon Scholarships are offered for the full period that you are liable to pay tuition fees to the University, which is usually the same as the length of your course. The fee liability page of the Fees and Funding website explains this in full detail, and also gives information about charges that may be applied after the standard period of fee liability has been reached and which are not covered by the Clarendon Fund. The University aims to offer financial assistance to as many well-qualified candidates as possible, and we expect that Clarendon scholars will continue to pursue other funding applications. In November 2010, we introduced a new Combined Award Policy for Clarendon Scholarship holders that will come into effect from the 2011-12 academic year. Under the Combined Award Policy, Clarendon scholars may be in receipt of a funding package covering tuition fees, college fees and living expenses from multiple sources, and the value of the funding package from these sources may equal up to the the total of a standard Clarendon Scholarship plus an additional £2,500 p/a for living expenses. Demikian kami sampaikan tentang Clarendon Fund Scholarships, University of Oxford, UK semoga informasi tentang Clarendon Fund Scholarships, University of Oxford, UK ini bermanfaat.